This mid 70's Italian Giallo comes courtesy of Sergio Martino, who's probably best known for Torso (1973) or 2019: After the Fall of New York (1983), but who also happens to have directed my second favorite Post Apocalyptic film of all time, the uber classic and bonkers Over the Top and Terminator mashup/ripoff Hands of Steel (1986). Martino has dipped his hand into nearly every single genre from comedy, crime thrillers, science fiction and action, to horror, documentaries post nuke and with this film, the murder/mystery/thriller/whodunit. With The Suspicious Death of a Minor, Martino puts his own little spin on the standard genre tropes, giving us an odd, yet highly intriguing take on the Italian Giallo. Let's dig in. Soon after Germi (Claudio Cassinelli) meets a beautiful young woman during a dance, she's brutally murdered. He then sets out on a quest to uncover the truth and who's responsible at any cost. He soon discovers that her murder has deep ties to an underage prostitution ring and very powerful people. I rather enjoyed this film for a number of reasons. While it is a bit....different than your typical Giallo, it played on all the standard themes relatively well and despite your taste for his very specific little comedic touches, they don't deter from the fact that this is still very much a serious detective thriller. Martino shoots the film with a clear vision, and does a damn fine job giving the film a slick visual aesthetic. And if I were to be completely honest, this is probably one of his most stylish films I've ever seen from him. Doing some research before heading in, I was surprised to learn that a lot of people were either turned off or confused by the film's comedic tones. But really, they come and go in such brief moments that you quickly forget about them. Sure, they're a bit jarring at first, but I did notice that they were long gone by the time we get to the second half, so that should ease some newcomers minds going in. Claudio Cassinelli, who plays Germi, the films protagonist, gives a strong performance as a man desperate to take whatever measures necessary to find the answers he needs to solve her murder. Oftentimes this involves putting himself in many situations that result in other people's deaths, and he does it with a brutality that leads you to believe he may not be what you think. The truth is that he's very familiar with this world of violence, and there's a very good reason for it and for his obsession, which you soon discover. One of the films biggest strengths is that it keeps you guessing for much of the running time. You never really know who to trust, or what's really going on, most notably with Germi's obsession with uncovering the truth. In the beginning you see his meeting the unfortunate victim at a dance as a chance encounter, yet when he discovers she's been murdered, his journey to solve her murder becomes a brutal and unflinching obsession. And we don't know why at first. The film throws enough twists and turns to make your head spin, and it's only after we discover Germi's true motive that we finally begin to get a clear picture of what's really happening. A bit uneven because of the minor comedic elements, the film succeeds regardless as a fresh Italian Giallo for many different reasons. Sergio Martino does an excellent job directing it with a slick visual style, and Luciano Michelini's score is hands-down one of the best I've heard in years. Very much reminiscent of Goblin's best work. In fact, I would have sworn it was them until I discovered otherwise. 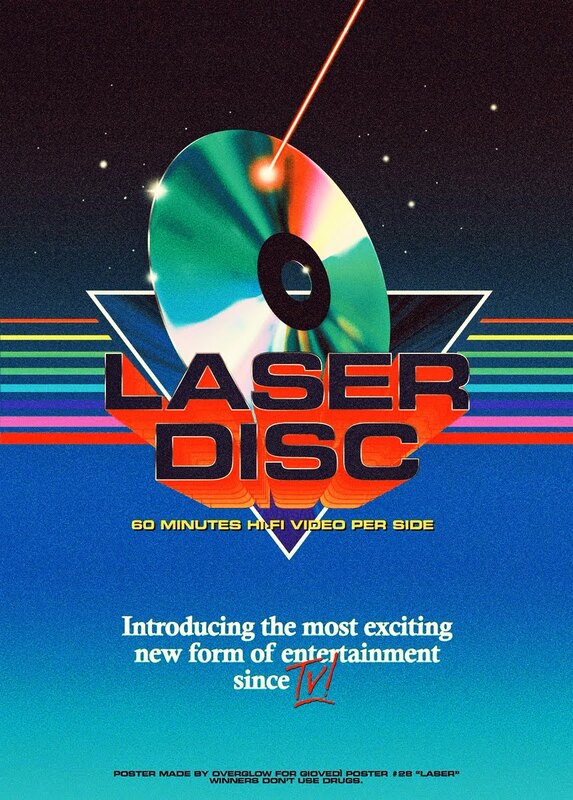 I would love to own the soundtrack, if it ever becomes available. The performances are strong across the board, and the film never loses it's ability to keep you invested, making it a solid entry in the Giallo genre. As per usual, Arrow has done a phenomenal job on this print. The colors are vivid, bold and strong, with the original mono English and Italian audio matching in quality. While the film doesn't have a lot of extra content, the new interview with writer/director Sergio Martino is worth checking out. I swear, the guy looks like he's in his 50's, but in reality he's pushing 80, which just blows my mind. Here he discusses the genesis for the story, who was responsible for bringing each of the elements into play, and his decision to infuse some comedy. He also touches on the title, which wasn't his choice. 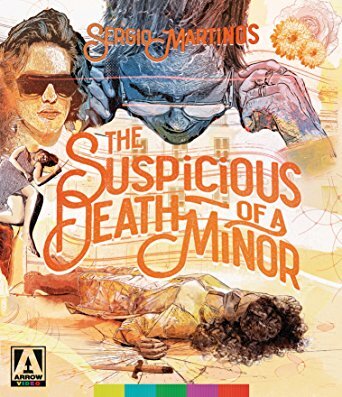 Easily one of the best murder/mysteries I've seen to come out of 70's Italian Cinema, and one of the best made in my opinion, The Suspicious Death of a Minor deserves to be seen. It's gone shockingly overlooked for decades, especially in the 70's when others like Dario Argento were finding more mainstream success, yet it's every bit as good as any of the more popular entries in the genre. The Suspicious Death of a Minor was released in September of last year, and you can purchase this from any number of online retailers or directly through Arrow HERE.